리쿠드(히브리어: הַלִכּוּד)는 이스라엘 최대정당으로 민족주의 정당이다. 리쿠드는 히브리어로 "화합", "협동"을 뜻한다. 1973년 메나헴 베긴이 주도하여 여러 군소우익정당과 자유주의 정당을 흡수해 창당했다. 이후 1977년 선거에서 건국 이래 줄곧 정권을 장악한 중도좌파 노동당 을 누르고 승리함으로써 우파가 선거로 승리한 이스라엘 정치사의 중요한 전환점을 만들었다. 그러나 1980년대에 이츠하크 라빈이 이끄는 노동당에 다시 패했고 이후 한동안 야당 생활을 면치 못했다. 라빈이 암살된 후 1992년 선거에서 다시 승리하였고 이후 줄곧 이스라엘의 집권당으로써 중앙정치무대를 장악했다. 그러나 2006년 당 내 분열로 인해 리쿠드는 분당되었고 에후드 올메르트와 시몬 페레스 등 주요 당내 정치인들이 신생 정당인 카디마로 이적하면서 세가 크게 위축되었다. 그러나 2009년 선거에서 카디마를 근소한 차로 누르고 정권을 재창출, 현재는 리쿠드 당수인 베냐민 네타냐후가 총리직을 수행하며 정부를 이끌고 있다. 리쿠드는 신자유주의 경제 정책을 펴고 있으며 자국 시장을 보호하기 위한 조치도 많이 시행하고 있어 사실상 혼합경제체제를 시행하고 있다. 대표적인 정책으로 법인세와 소득세, 부가세를 인하하고 관세를 추가했으며 그리고 미국과 유럽 연합을 위시로 한 자유 무역 협정 체결, 자유 무역을 통한 시장개방을 주요 경제목표로 삼고 있다. 또 주요 국책 기업을 민영화 했으며 국유 토지도 일부 사유화 했다. 현 베냐민 네타냐후 총리는 재무장관을 역임한 바 있으며 이스라엘 정치인 중 가장 열렬한 자유 경제 옹호자로 손꼽힌다. 팔레스타인에 대한 리쿠드의 정책은 매우 강경하며 특히 베냐민 네타냐후 현 정부의 대(對)팔레스타인 정책은 이전 정부에 비해 초강경 일변도이다. 현 이스라엘 정부는 하마스에 대한 징벌책의 일환이라 하여 몇 년째 가자지구를 완전 봉쇄하고 있으며 웨스트뱅크에서는 아랍인과 유대인을 분리하는 분리장벽을 곳곳에 건설하고 유대인 정착촌 건설을 계속 강행하여 세계의 비난을 사고 있다. 2010년 7월에는 가자지구에 구호물품을 전달하려는 NGO단체가 탄 배를 무차별 사격하고 나포함으로써 범 세계적인 비난을 받았다. 이스라엘정부와 팔레스타인자치 정부는 미국을 비롯한 여러 나라의 중재 아래 팔레스타인 독립 국가 건설을 놓고 협상을 벌이고 있지만 현재까지도 양측의 입장차가 현저해 당분간 팔레스타인 강경책은 변함이 없을 듯 하며 이로 인한 세계적 비난과 팔레스타인과의 충돌도 피할 수 없을 것으로 보인다. 리쿠드당은 수정 시오니즘에 의거해 유대인 문화의 부흥에 큰 노력을 기울이고 있다. 리쿠드당은 1948년 발발한 아랍-이스라엘 전쟁에서 이스라엘의 국기의 사용과 전쟁 승리와 같은 이스라엘 민족의 테마를 강조한다. 언론의 자유와 정보 공개도 리쿠드 정부 아래에서 크게 성장하였다. 아리엘 샤론이 이끄는 리쿠드 당 정부는 특히 민영 미디어 채널을 지지하는데 대포적 방송으로 우익의 날개, 해적라디오, 아르츠 7이 있으며 이중 아르츠 7은 우익단체인 Jewish settler와 결탁해 자주 우파의 관점에서 정부 정책을 비판 또는 지지한다. 전통적으로 리쿠드는 수정 시오니즘 즉 세속적 민족주의를 주창하였으나, 1977년 리쿠드 최초의 총리인 메나헴 베긴이 유대인의 전통과 정통 유대교의 발전을 리쿠드의 지표로 삼았다. 그래서 이후 많은 정통파 유대교도와 랍비들이 다른 주요 정당보다는 리쿠드를 지지하게 되었다. 리쿠드는 헤루트(해방당)과 하 리베랄리(자유당), 그리고 그밖의 작은 단체들이 연합하여 1973년 결성되었다. 연원은 1920년대와 1930년대 러시아 유대인의 시오니즘에서 찾을 수 있다. 1948년 이스라엘이 독립하자 이들은 다른 단체들과 통합하여 헤루트를 창당하였는데, 베긴은 이때 통합된 이르군이라는 단체의 지도자였다. 하 리베랄리당은 전(全)시오니스트당과 진보당이 통합하여 결성된 정당이다. 그 밖에 극우 시오니즘당인 해방파(Free Center), 독립국가(State List)의 잔존자들, 이스라엘 영토운동(Land-of-Israel Movement) 등이 리쿠드를 구성한 대표적 단체들이다. 세력은 크지 않았으나 연합하여 나름대로의 영향력을 행사할 수 있었기 때문에 무시할 수 없는 세력이었다. 연합정당으로서 내부의 모든 정당이 각각 독립적인 체계를 그대로 유지하고 있었다. 이스라엘은 1948년 독립한 이후 노동당이 제1당이 되었으나, 1977년 5월 총선거에서 리쿠드가 승리하여 정권을 잡게 되었다. 1981년 6월 총선거에서는 겨우 승리하였으나 1983년 7월 선거에서는 근소한 차이로 노동당에게 패하였다. 1984년 리쿠드와 노동당은 I.샤미르와 S.페레스가 공동으로 이끄는 연립 정부를 수립하였다. 이후 2005년 팔레스타인 문제와 외교 등의 문제로 당이 분열되어 탈당파들은 카디마라는 새로운 정당을 결성했고 리쿠드는 한 동안 그 세력이 크게 위축되었으나 2009년 총선에서 약진해 카디마가 근소한 차로 제1당이 되었으나 다른 우익 정당과 연합해 정권을 재탈환했다. 아리엘 샤론, 전 이스라엘 총리, 전 리쿠드 당수(1999.9 - 2005.11) 현재는 노환으로 투병 중. ↑ Daniel Tauber (13 August 2010). "Ze'ev Jabotinsky (1880–1940)". Likud Anglos. 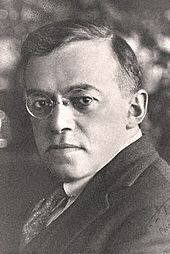 Jabotinsky's movement and teachings, which can be characterized as national-liberalism, form the foundation of the Likud party. ↑ McGann, James G.; Johnson, Erik C. (2005). Comparative Think Tanks, Politics and Public Policy. Edward Elgar Publishing. p. 241. ISBN 9781781958995. The Likud Party, the party of Prime Minister Ariel Sharon, is a national-liberal party, while the Labor Party, led by Shimon Peres, is more left-wing and identified as social-democratic. ↑ "Israel - Political Parties". GlobalSecurity.org. 2014-04-12. Retrieved 2015-01-26. The two main political parties—Likud, essentially national-liberal and Labor, essentially social-democratic—have historical roots and traditions pre-dating the establishment of the State in 1948. ↑ "Meet the parties - Likud". Haaretz. 2015. Retrieved 2015-03-01. A national-liberal political movement (center-right, in Israeli terms) that was established as an alliance of parties that united into a single party in 1984. ↑ Amnon Rapoport (1990). Experimental Studies of Interactive Decisions. Kluwer Academic. p. 413. ISBN 0792306856. Likud is a liberal-conservative party that gains much of its support from the lower and middle classes, and promotes free enterprise, nationalism, and expansionism. ↑ Joel Greenberg (22 November 1998). "The World: Pursuing Peace; Netanyahu and His Party Turn Away from 'Greater Israel'". The New York Times. Retrieved 30 June 2015. Likud, despite defections, had joined Labor in accepting the inevitability of territorial compromise.... Revolutionary as it may seem, Likud's abandonment of its maximalist vision has in fact been evolving for years. ↑ Josef Federman (2014-12-02). "Israeli government crumbles; new election planned". Associated Press. Retrieved 30 June 2015. Netanyahu's own Likud party is divided between more-centrist old timers and a young guard of hard-line ideologues. 이 문서는 2019년 4월 21일 (일) 11:59에 마지막으로 편집되었습니다.